While that may sound like the set-up to an atrociously bad academic joke, that kind of interdisciplinary meeting of the minds is part of what gave rise to a new NASA-funded research project involving two UBC researchers. Anthropologists (and married couple) Dr. Mark Turin and Dr. Sara Shneiderman are part of a Yale-led team bringing together experts from many different diverse fields of academia in order to study changing patterns of urbanization and land use in the Himalayan region. The project was initially conceived out of a desire to unite both hard and soft sciences in order to explore urbanization trends across the Himalayas using satellite imaging data combined with other kinds of sociological data. The region was of particular interest because much of the urbanization there has been happening in the kinds of rural areas that have historically been neglected by researchers who tend to focus instead on larger metropolitan centres. It was an idea that was methodologically so unusual that NASA actually turned down the initial grant proposal. 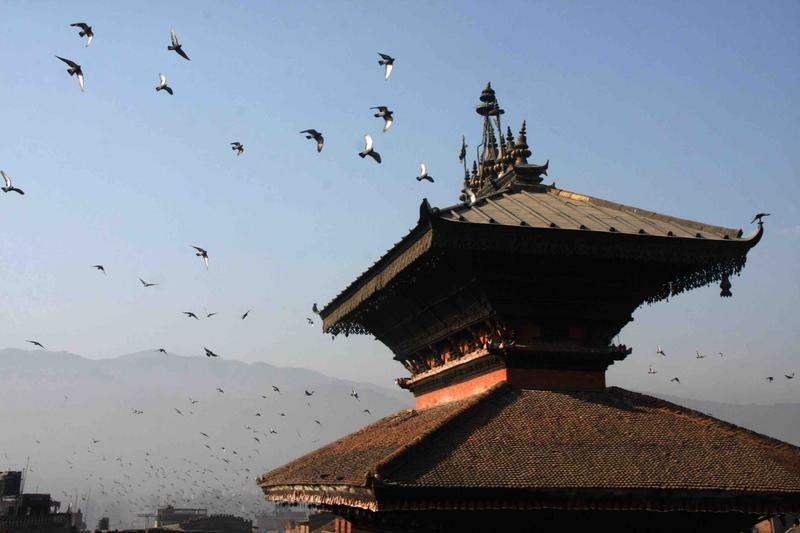 Following the devastating Nepal earthquakes in 2015 which left almost 9,000 people dead, it became clear that a better understanding of the vulnerabilities created by rapid urbanization in the region was of pressing importance. “One of the things that the earthquakes also showed was that a significant number of the casualties were in these smaller urban centres precisely because they have developed rapidly, with high population density and ad hoc infrastructure,” said Shneiderman. “Such zones of particular vulnerability were characterized by a high population density, but without much adherence to building codes [because] these areas had sprung up very rapidly,” she said. The team emphasized the need for better understanding these kinds of phenomena in their second grant request, which was subsequently accepted with NASA awarding them USD $750,000 to fund the research set to begin this summer. While team members from the Yale Himalaya Initiative and the International Centre for Integrated Mountain Development will be focusing on analyzing NASA Landsat imagery over a 32-year period — looking at things like visible changes in electrification and land use, as well as their environmental impacts — Turin and Shneiderman will be helping to explain why such changes may be happening. As anthropologists, Turin and Shneiderman have spent the majority of their careers studying the Himalayan region, living and working in Nepal for many years and helping to establish the UBC Himalaya Program, which aims to promote interdisciplinary knowledge-sharing surrounding the region. They hope to combine this wealth of personal and professional information with publicly available data such as census information, data concerning flows of remittances and land use data, as well as the results of new ethnographic studies. These studies will be conducted on the ground at sites in India, Nepal and Bhutan in order to shed light on the different economic, political and social forces driving the phenomena that are observed in the satellite imagery. With those new insights in hand, Turin and Shneiderman then hope to help create conduits for effective information transferring between the researchers and local communities, national governments and development organizations. Such channels will help ensure that the results of the study can be broadly disseminated, but also that the needs and concerns of those in the communities being studied can be communicated back to the team to further inform the direction of the research.